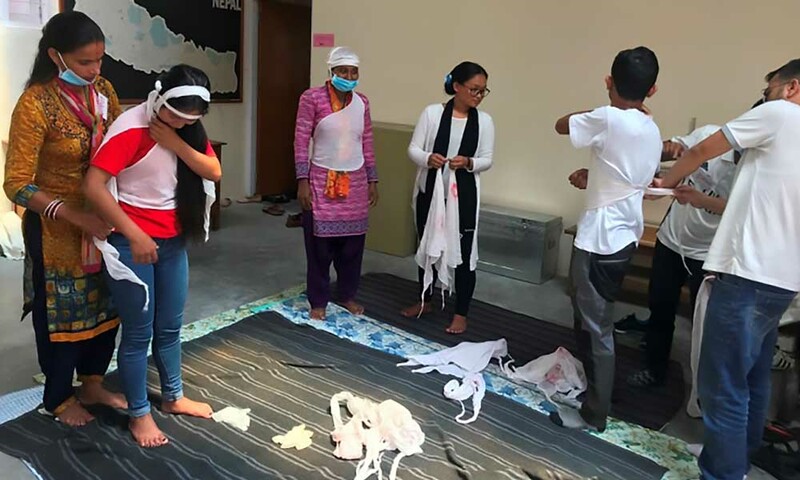 Accidents and serious injuries are a common occurrence in Kushma Gurung’s village in Lamjung, Nepal but often there is no one equipped to provide first aid. 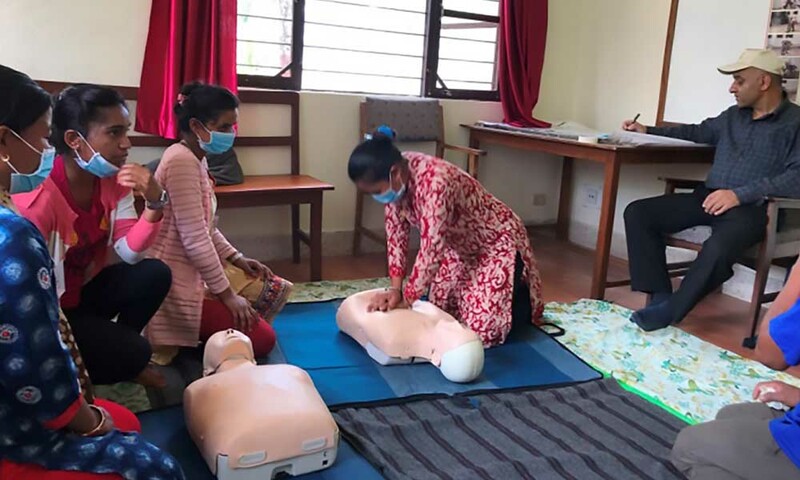 Kushma is one of twenty-four young people who have recently completed first aid training organised by INF’s Disaster Response and Resilience Department. 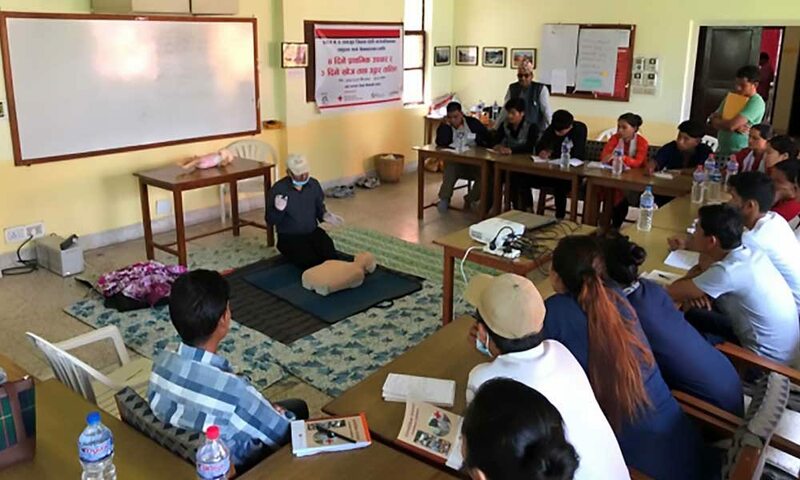 INF’s workshops included four days of Basic First Aid training run by the Nepal Red Cross Society and three days of Light Search and Rescue training. 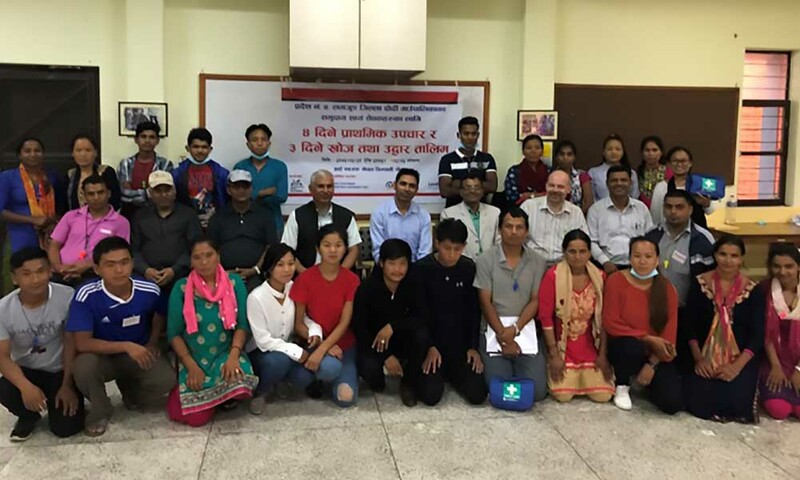 Ten men and fourteen women participated in the workshops aimed at building disaster resilient communities in a country that frequently experiences natural disasters. 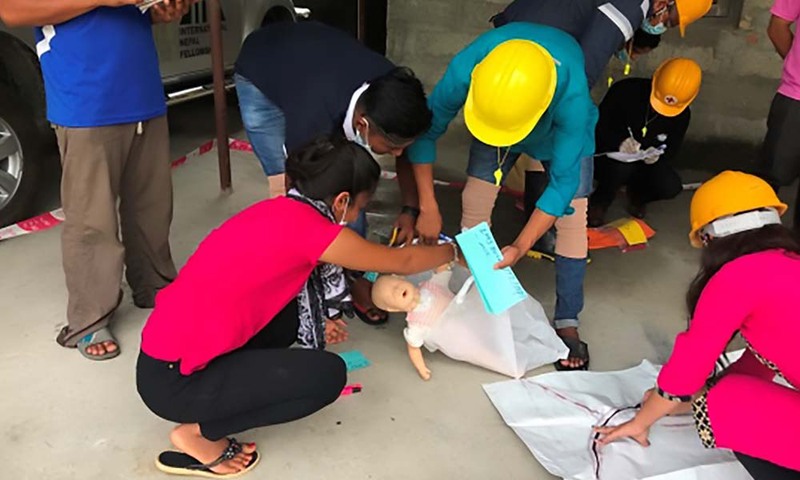 The aim is to train up volunteer groups that can mobilise quickly in the event of a disaster and who can share their knowledge and skills with others in the community. Twenty-one year old Ramesh BK is also from a community in Lamjung, two hours from the nearest Health Post. 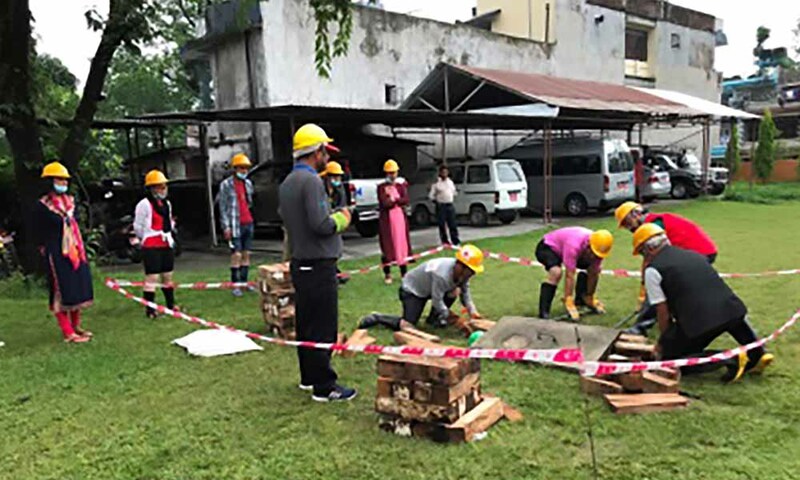 He took part in the training workshops and is thankful for the skills they have equipped him with. He reflected on a number of occasions where friends have had serious falls while cutting grass and fractured a limb. 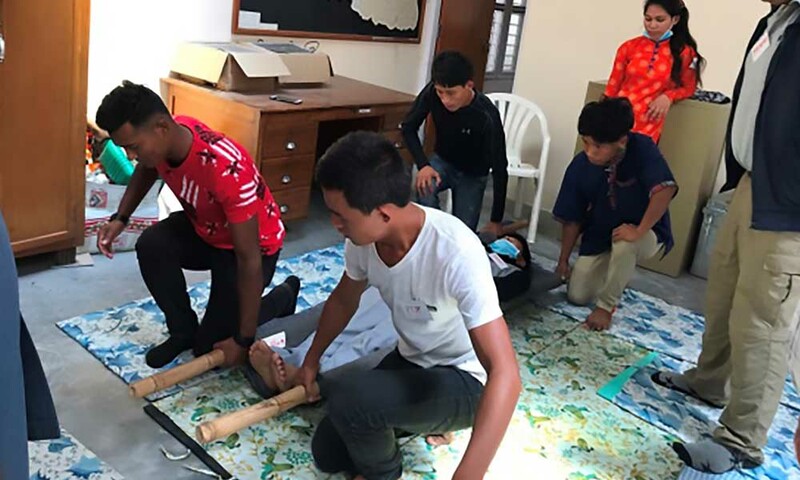 He often felt helpless knowing medical help was several hours away and no one in his village knew first aid. 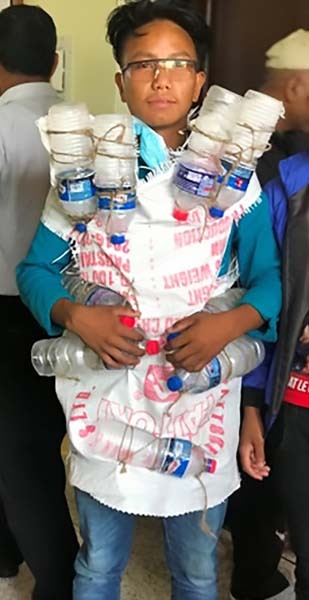 Ramesh is now keen to share what he has learnt with family members and to assist others in his community.